which is still open for study and discussion. Many of his claims may become dedicated topics. Several patents are in "application" status. Resume of Stephen B. Heppe, D.Sc. 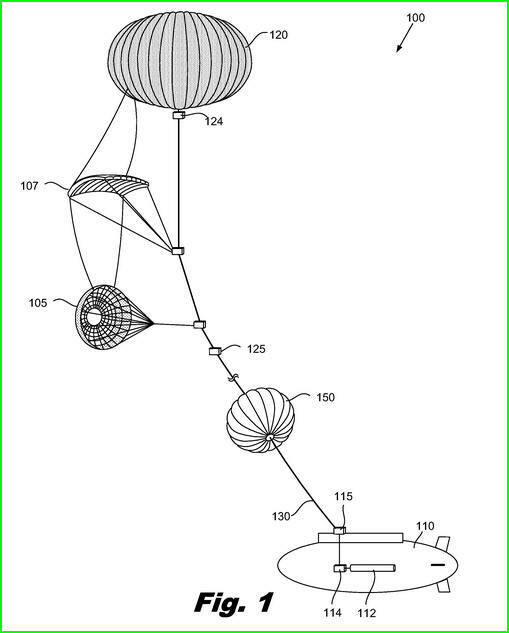 Interests in airborne wind energy had me find some interest in your patents. Airborne tethered UAVs in airborne wind energy will have communication challenges. And we aim at "ever-up" tethered kytoon-involved energy-harvesting systems. Both those realms seem to have brought me to explore your good works. and your are ever welcome to comment in the tech form. The FFAWE Club recognizes him as kindred member, April, 2014.